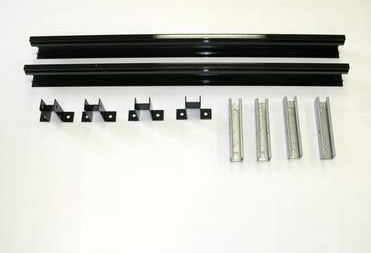 SolarSheat Single Flush Roof Mount Kit 43.5"
SolarSheat single flush roof mounting system is required when mounting a SH1000G or SH1500G on a roof and the pitch of the roof is equal to or greater than 45 degrees. Use with Wall Mount. (Wall Mount is supplied with each SolarSheat Complete System). Kit makes roof installation easy.